From the developers of Bloodborne and the Souls games, Sekiro: Shadows Die Twice is an exceptionally challenging and satisfying action-adventure game that manages to use the same Soulsborne formula and spin it in both a fresh and familiar way. To see our full review of the Sekiro: Shadows Die Twice, hit play on the video below. 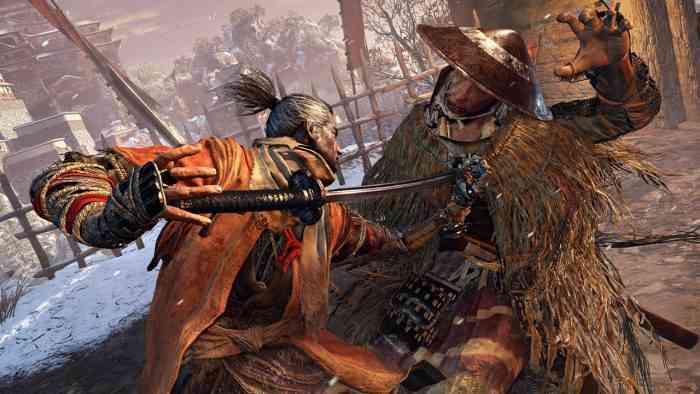 Sekiro: Shadows Die Twice is set within a fictional representation of 1500s Sengoku Japan, where you play as Sekiro, a Shinobi warrior who has been left for dead by his arch nemesis. Your arm has been severed, and in its place is a mechanical arm equipped with a grappling hook and a variety of deadly tools. 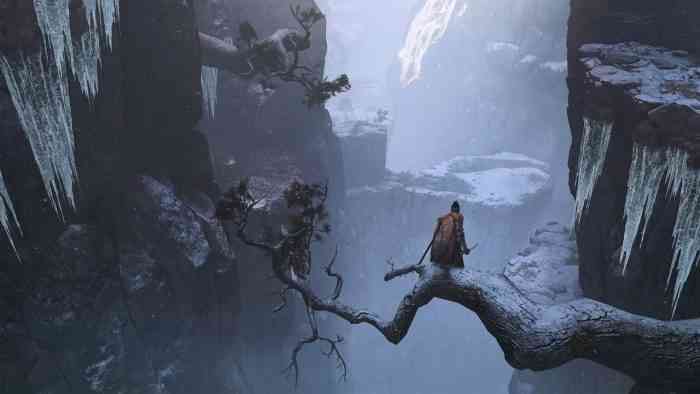 The storytelling method in Sekiro: Shadows Die Twice is much more definitive than the ambiguous stories found in Bloodborne and the Souls series, having both an established identity and a clear motive influencing his actions. The Japanese setting is by far our favorite world from the studio so far. From mountainscapes to dense bamboo forests and towering villages, the colorful world is gorgeous, vast, and rife with hidden areas, optional boss encounters, and odd characters to interact with. It’s a far cry from the gothic, gloomy nature of FromSoftware’s previous worlds, and a welcome one at that. The combat system is also outstanding and deep, with a huge variety of fighting styles and Shinobi tools. Choosing when to employ specific moves and Shinobi weapons is paramount to winning fights, and there is a nice progression system for upgrading weapons and unlocking abilities. Overall, Sekiro: Shadows Die Twice is a beautifully immersive experience with impressive traversal and exciting combat mechanics. We couldn’t put it down, and can’t wait for our next playthrough. What are your thoughts on Sekiro: Shadows Die Twice? Let us know in the comments below, and don’t forget to check us out on Facebook, Twitter and Youtube for more video game content.